We are very proud to announce the recipients of the Telemed Foundation Man of the Year Award, and the Telemed Foundation Excellence in Community Service Awards. It is our great honor to award the Telemed Foundation Man of the Year to Dr. Zahi Hawass in recognition of his tireless work to protect Egypt's antiquities, and to share the wonder of archaeological discovery with people around the globe. Dr. Hawass is the Former Egyptian Minister of Antiquities and Director of Excavations at Giza, Saqqara, Bahariya Oasis, and the Valley of Kings. He received his Ph.D. in 1987 from the University of Pennsylvania, where he studied as a Fulbright Fellow. He has written numerous scholarly articles and books, and is a highly respected Egyptologist. Known for his charisma and ability to reach out to the public, for more than thirty years he has been raising awareness of archaeology and the preservation of Egypt’s precious heritage. Dr. Fahmy Attallah was born in Cairo, Egypt on August 14, 1909. Dr. Attallah was an accomplished athlete, completing many long distance swims in Egypt. His longest swim was 60 kilometers in 41 hours. Egypt honored him as a member of Egypt's Olympic Swim Team for the 1948 Games in London. In 1950 he swam the English Channel in 27 hours 13 min, but his boatman touched him a few yards off shore, disqualifying the swim. Dr. Attallah was a published author of three Arabic books: "My Days" (1948), "Wisdom of the Soul" (1967), and "Inspiration of the Soul" (2001), and also one English book, "Beauty of Being" (1999). He was educated in Cairo University, Reading University in England, and USC. He practiced as a Humanistic Psychologist for 42 years and was active in civic endeavors. He served three terms on the Board of Health and Human Services, Long Beach and on the Advisory Board, Integrated Services Agency in Los Angeles County. Dr. Attallah loved life and had a charming, gentle way of helping others with his infectious laugh and positive, upbeat attitude. In 1962, Dr. Attallah married Donna Attallah, who spent all her life as a notable educator. They were married for 43 years and because they never had children of their own, they dedicated their lives to serving the students in their charge. Ultimately, Dr. Attallah's health deteriorated and Donna retired after 40 years in the classroom to be with him. Over the years, Donna and Dr. Attallah continued to be extremely philanthropic to many causes across Orange County, but most importantly Chapman University, which he loved so much even though he was a USC graduate. They have been extremely generous to Chapman in significant ways, including the Donna Ford and Fahmy Attallah, Ph.D. Library of Arts and Humanities, an Endowed Chair of Church Relations, and an Endowed Professorship at the College of Educational Studies. After Dr. Attallah's death, Donna dedicated the Fahmy Attallah, Ph.D. Piazza in his memory. Reminiscent of some of the great Italian piazzas, it is the heart of the Chapman campus and a gathering place for fellowship and celebrations. Telemed Foundation is extremely proud to present a Posthumous Distinguished Service Award to Dr. Fahmy Attallah. His wife, Donna Attallah, will be receiving the award on his behalf. Dr. Abdel-Azim is Associate Professor of Pediatrics and Clinical Scholar, Attending Physician, Hematology/Oncology and bone marrow transplantation, Children's Center for Cancer and Blood Diseases, Co-Director, Stem Cell Processing Laboratory, Director, Flow Cytometry/Sorting Lab and Director, BMT Fellowship Program, Children’s Hospital Los Angeles, The Saban Research Institute, Keck School of Medicine, University of Southern California. A physician and researcher, he aims to translate his laboratory research into clinical applications. He is a principal and a co-principal investigator on several investigator-initiated and multi-center studies, and has authored numerous peer-reviewed journal articles and book chapters. His laboratory research is focused on acute leukemia and flow image analysis. Dr. Abdel-Azim is an expert in blood and marrow transplantation, cellular and immunotherapy for a wide variety of cancers, bone marrow disorders, and genetic and non-malignant diseases. He also has special expertise in laboratory assessment for minimal residual disease in blood cancers and immune recovery after blood and marrow transplantation. His research interests include infections in immune compromised host, reduction of transplant-associated complications, treatment of graft vs host disease, and use of cell therapy for treatment of malignant and non-malignant diseases. Dr. Ghoniem is currently Professor and Vice-Chair at the UC Irvine Health School of Medicine Department of Urology, and Chief, Division of Female Urology and Voiding Dysfunction. Dr. Ghoniem, who is an internationally regarded expert in female urology, pelvic reconstructive surgery, and voiding dysfunction, also serves as Chief of Spinal Cord Urology for the VA Long Beach Healthcare System and Director of UCI Urology at Long Beach Memorial Medical Center. Born in Alexandria, Egypt, Dr. Ghoniem left Egypt in 1980 to pursue a fellowship in neurourology and female urology at Brown University, Rhode Island. He subsequently completed a second urology residency at the University of Michigan, Ann Arbor, Michigan. In 1987, Dr. Ghoniem was appointed to the Department of Urology at Tulane University to become Professor of Urology with a joint appointment in the Department of Gynecology. In 2000, Dr. Ghoniem joined Cleveland Clinic Florida in Florida and founded the section of Voiding Dysfunction, Female Urology, and Pelvic Reconstruction. He also served as the Chairman of Medical Education and Chairman of Research. Dr. Ghoniem has served as a thesis supervisor to 12 Egyptian scholars, many of them are current professors at Alexandria, Menofia, Tanta, Cairo, Suez Canal, Asuit and lately Aswan University. He has had frequent trips to Egypt for lectures, worshops and surgry. He has been a frequenct consultant urology surgeon to the Mostafa Kamel Military Hospital in Alexandria. He served as a liason to the American Urological Association and helped to establish collaborative educational program with the Egyptian Urological Association. He participated in the urology board review courses for young Egyptian urologists, and currently close to 500 attended this course. He has trained 15 clinical fellows all over the United States and more than 23 international fellows. He has edited or co-edited two textbooks and four special journal issues and is an author or coauthor on 40 book chapters, 168 peer-reviewed scientific articles, and 29 surgical videos. He serves on the Editorial Board of many international journals and has been appointed as an expert reviewer for many prestigious journals. In 2017, he recieved the prestigious Society of Urodynamics Lifetime Achievement Award, only a very few urologists achieved this honor. He was recently elected as a chairman of International Continence Society Annual Meeting, Las Vegas, 2020. 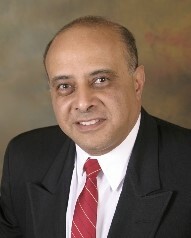 During his career to date, Dr. Ghoniem has been instrumental in improving and introducing many diagnostic and surgical techniques in the field of urinary incontinence and pelvic prolapse such as ISD classification, vaginal pack test, suburethral sling, genisphere injection, bladder neck wrap, male sling, transobturator technique, and chronic sacral nerve tined lead removal technique. He is also an inventor with a patented method and device to treat patients with overactive bladder symptoms. Dr. Telal Wassel is the Founder, President and CEO of Wassel Corporation. 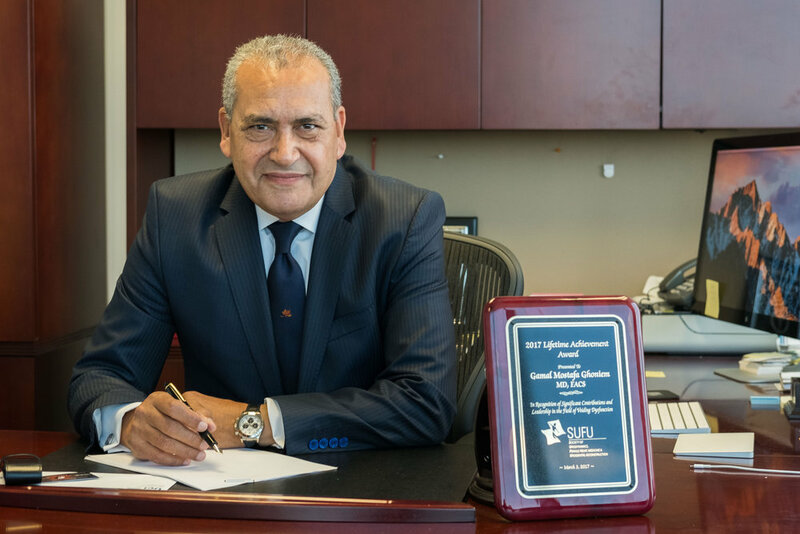 He is a successful businessman, management consultant, and technical expert with extensive experience in technology, defense, and government contracting. Prior to establishing Wassel Corporation, Dr. Wassel was a Senior Vice President at Science Applications International Corporation (SAIC), a Fortune 500 company. SAIC was a 45,000 employee strong company in the technology areas of national security, engineering services, system integration, health, energy, environment and other areas of importance to the U.S. and the world. Dr. Wassel is one of the original fellows at SAIC who helped grow the company from $10 million annual revenue to an $8 billion corporation. Over the past 20 years, Dr. Wassel has dedicated his efforts helping Egypt by playing a key role in establishing and overseeing numerous critical military training programs and combat training centers for the Egyptian Armed Forces. Dr. Wassel has actively participated in promoting the relationship between Egypt and the U.S., where he has routinely met and counseled senior Egyptian leaders and U.S. diplomats. Dr. Wassel received his Ph.D. and M.Sc. degrees in Engineering and Applied Sciences from the University of California at Los Angeles and B.Sc. in Mechanical Engineering from Cairo University. He was also a postdoctoral scholar, and a lecturer at UCLA. After graduating from Cairo University he worked as an assistant lecturer/teaching assistant at Cairo University Faculty of Engineering. He is a former Chairman of the Egyptian-American Organization and the President of the Los Angeles-Giza Sister City Organization, part of the U.S. Sister City program initiated by President Eisenhower to promote peace in the world. He has over 140 technical publications in the open literature.